EMSL Analytical provides asbestos testing, sampling supplies and test kits to identify asbestos from both naturally occurring deposits and in manmade environments. In January, the Record-Gazette published an article about health concerns of many residents living near the border of the United States and Canada where the Sumas River flows between the countries. The concerns are associated with naturally occurring asbestos from an ongoing landslide that contains the minerals that are slowly being washed into Swift Creek, a tributary of the Sumas River. According to the report, the slow-moving landslide began decades ago and has been dumping the equivalent of thousands of truckloads of sediments that contain asbestos into the waterway each year. Seasonal flooding along the tributary and river deposit the naturally occurring asbestos on the surrounding land causing fears of it becoming airborne as it dries. Dredging activities that remove sediment is also another major health and safety concern. Naturally occurring asbestos is not just an issue in parts of Washington and British Columbia, it can be found in many parts of North America. In many circumstances if left alone it is not a threat to humans, but this can change if deposits are aerosolized by wind or human activities. Exposure to asbestos fibers has been shown to cause mesothelioma, asbestosis and lung cancer. Identifying naturally occurring asbestos as well as analysis of asbestos-containing building materials from the indoor environment of homes and buildings are performed by the experts at EMSL Analytical, Inc. Their network of laboratories across the United States and Canada offer comprehensive analyses, all of the sampling supplies necessary and test kits. 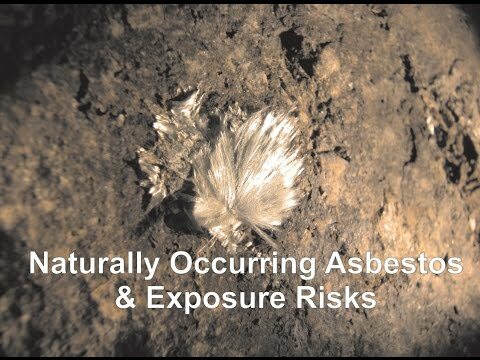 They have also sponsored an educational video about naturally occurring asbestos and exposure risks that can be seen at: http://youtu.be/1AiAr6TC2pw. To learn more about asbestos testing or other environmental, occupational, air quality, health and safety services, please visit www.EMSL.com, call (800) 220-3675 or email info@EMSL.com . For access to environmental test kits, visit www.EMSLTestKits.com. EMSL Analytical is one of the leading testing laboratories with over 46 locations throughout the United States and Canada. 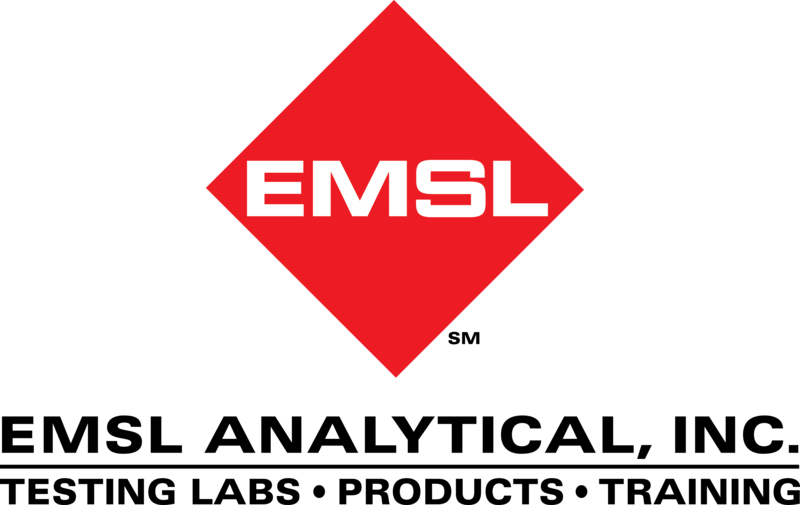 EMSL is a nationally recognized and locally focused provider specializing in fast laboratory results for mold, bacteria, Legionella, USP 797, pathogens, asbestos, lead, soot, char & ash from fires, VOC’s, odors, radon, formaldehyde, indoor air quality, microbiology, environmental, industrial hygiene, radiological, food, beverage & consumer products and material testing services for the identification of unknown substances. EMSL services both professionals and the general public. EMSL maintains an extensive list of accreditations from leading organizations as well as state and federal regulating bodies including, but not limited to A2LA, AIHA LAP, LLC. (AIHA EMLAP, AIHA IHLAP, AIHA ELLAP), NVLAP, CDC ELITE, CPSC, CA ELAP, NY ELAP, TX DOH, NJDEP and multiple other state accrediting agencies. Please visit our website at www.EMSL.com for a complete listing of accreditations. In addition, EMSL carries a wide range of Sampling Equipment and Investigative Products for environmental professionals.